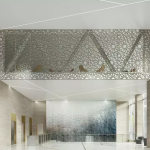 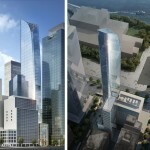 Though Perkins Eastman‘s design of Turkey’s forthcoming 32-story consulate tower was inspired by a Turkish crescent (a large, ornate, gilded instrument), the firm took a very streamlined approach to their vision, using swooping curves and geometric patterns to “evoke Islamic themes and Turkish art and culture,” as 6sqft previously described. 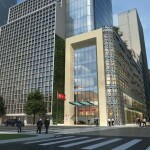 The Turkevi Center will rise along Consulate Row, at 821 United Nations Plaza, the corner of 46th Street and First Avenue. 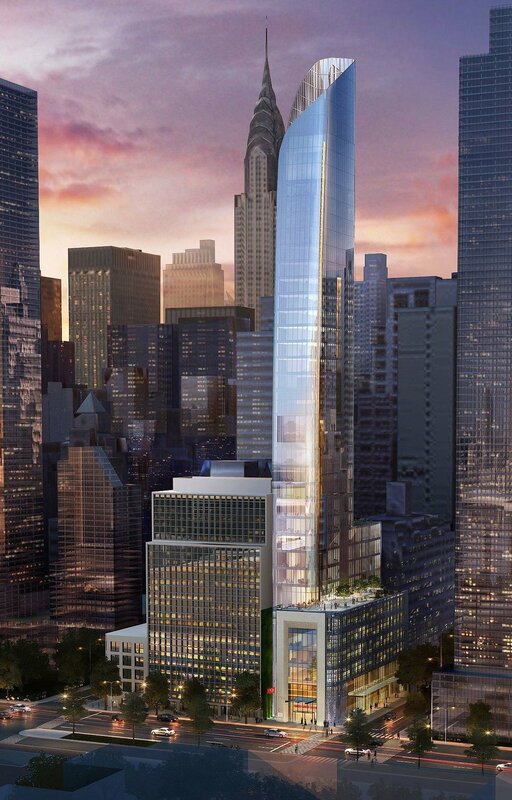 According to a press release first spotted by Curbed, it will “feature prominent loggias along the upper floors of the south and east faces, and be stacked atop a podium wrapped in perforated metal paneling.” The project had been on the drawing board for more than three years, but Perkins Eastman have now received the green light to move ahead with the building that will house new consulate offices, passport and visa branch offices, conference rooms, a multi-purpose prayer room, fitness center, auditorium, underground parking, and residential space for staff and visitors. 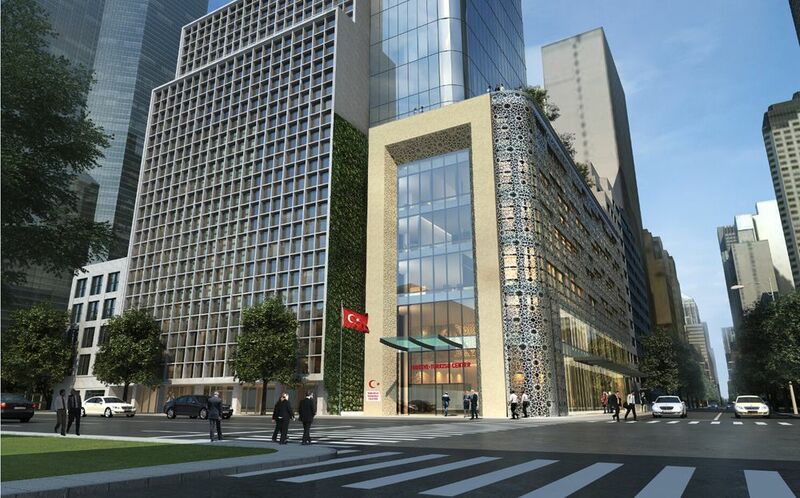 The Turkevi Center will replace Turkey’s Consulate General and Permanent Mission to the United States (seen above). 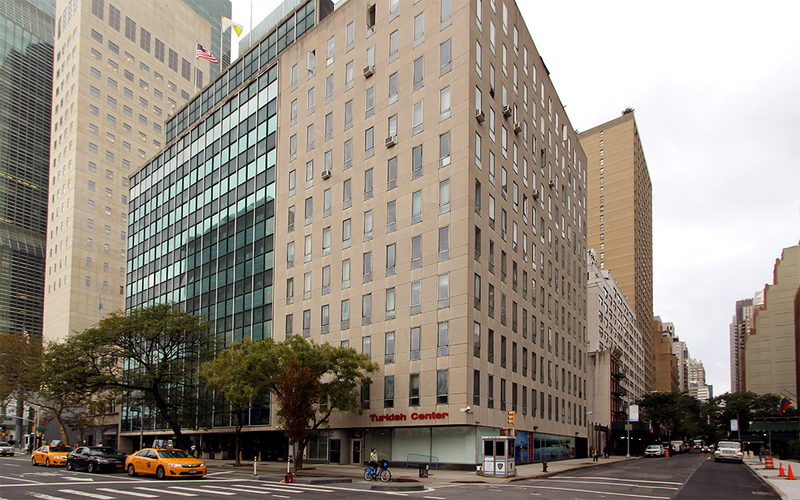 Demolition is planned for this summer for the site’s existing structures, an 11-story office building designed by Harrison & Abramovitz formerly known as the IBM World Trade Corporation Building and a four-story townhouse. 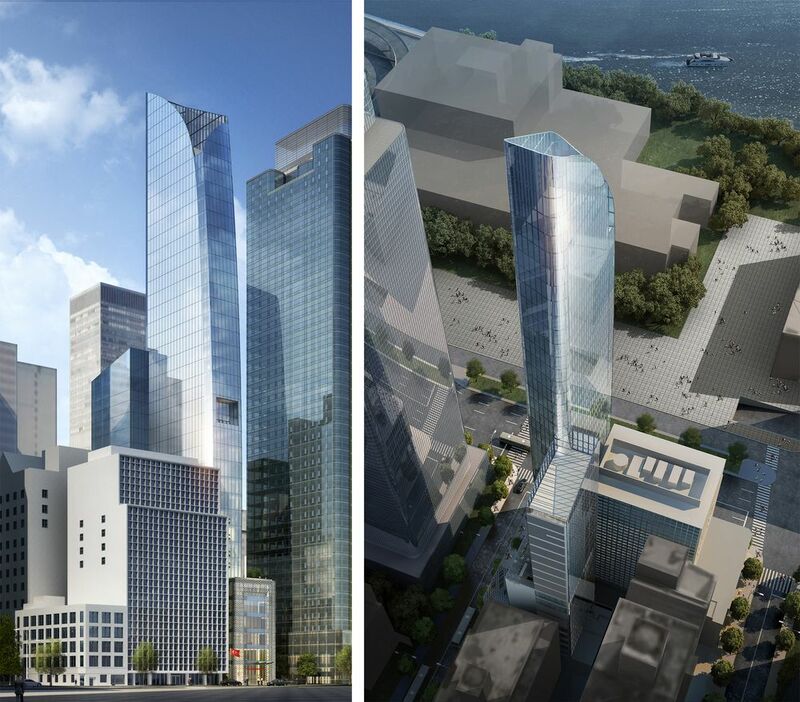 As per the press release: “At the podium’s roof will sit a public terrace with panoramic views of the East River and Downtown, while at its base, a grand yet inviting entrance will greet all who approach its doors to a place of stateliness and great cultural significance to the Turkish people.” The building is aiming for LEED silver status and is expected to be complete in 2018.